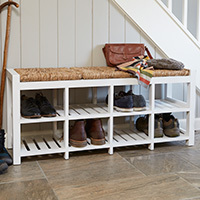 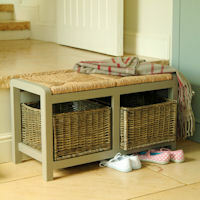 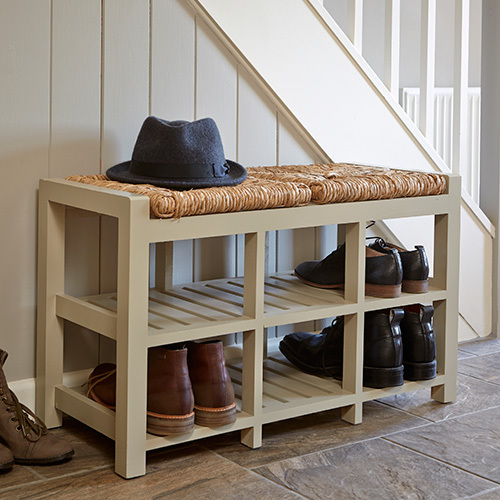 Our traditional two-seater wooden hallway storage bench is finished in either a traditional sage green colour (as shown) or classic white and is topped with two comfortable willow seats. 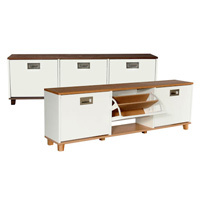 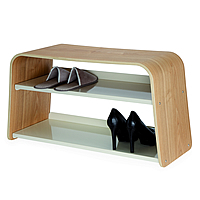 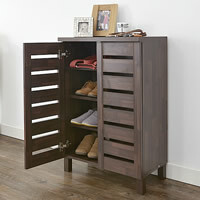 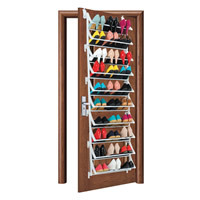 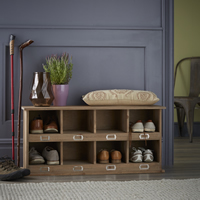 Beneath is room for all the families shoes, trainers and boots with 6 storage cubbies to stash the clutter. 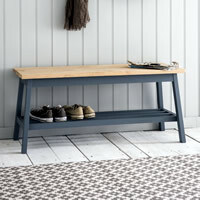 Pop yourself on the bench top whilst putting shoes on to save you hopping around the hallway when trying to make a speedy exit.